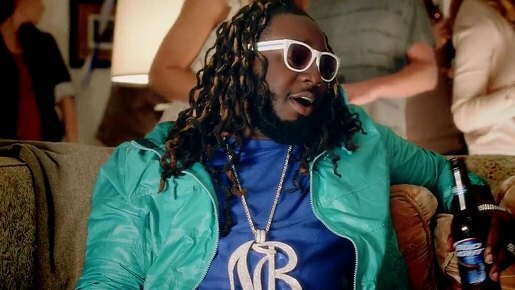 Bud Light is presented as the beer to get the party going in “Voice Box”, a Super Bowl commercial featuring singer/songwriter and rapper T-Pain. The spot opens with a young man whose female partner has brought home a six pack of Bud Light with the shopping. He gets onto the phone to spread the word with three of his friends, using an auto tuner voice effect, the kind made possible with an “I Am T-Pain” iPhone app. The ad ends with auto tuned T-Pain himself. The T Pain ad was developed at Cannonball, St Louis, by creative director/copywriter Steve Hunt, copywriter Mike Binnette, art director Joe Bishop, producer Bob Jackson, broadcast production manager Mary Jarnagin, account director Cori Wilson, account director Doug Murdoch. Filming was shot by director Michael Bigelow via Gartner, Santa Monica, with director of photography Salvatore Totino, executive producer Rich Carter, line producer Helen Hollien. Sound and music were produced at In the Groove by director Brian Reidinger with producer Darren Drew.